OCCUPIED JERUSALEM, A number of extremist Jewish settlers tried to occupy the home of Hajja Rifqa al-Kurd in Sheikh Jarrah suburb in occupied Jerusalem a couple of days ago, local sources revealed on Saturday. “I phoned the police and when they arrived they said that there was nothing to stop them [the settlers] from entering the house. When I showed them the relevant documents, the police got three out of five settlers out of the house. When my 87-year old mother arrived she was pushed by one of them and had to be taken by ambulance to hospital,” she added. Maysa’ also said that when she told the occupation police that one of the settlers pushed her she was told she had to go to the police station and make a complaint against him and when she arrived at the police station to make the complaint she found that the same settler was there claiming that her son assaulted him. She said that like this settler was making a false statement, the settlers used forgery to claim their ownership of the homes of the Ghawi family, Hanoun family and Muhammad al-Kurd family in the same suburb of Jerusalem. She called on everyone who can reach their place to go there to help them against the take over by the settlers of their home. In several events filmed by B’Tselem during October, settlers are seen hampering Palestinians from harvesting olives and stealing their crops. We also hear from the settlers who are involved in these actions. Abu Yasser is an elderly Palestinian farmer living in the southern part of the West Bank. He keeps his eyes glued to Al-Jazeera Television channel these days to follow up the latest news regarding the German-mediated talks between Israel and Hamas over a possible prisoner-exchange deal. He hopes that his son, Ahmed, will be amongst hundreds of Palestinian political and resistance activists Israel will set free if a deal is concluded. The looming deal would see the release of an Israeli soldier, captured by Islamic freedom fighters in Gaza more than three years ago in exchange for the release from Israeli jails and detention camps of hundreds of Palestinian prisoners, many of them spending heavy lengthy sentences for resisting the Israeli occupation. This week, the talks reached a decisive phase as officials from both sides admitted that a tangible progress was being made and that an accord was closer than ever. These statements raised hopes that some of the Palestinian prisoners who have spent the prime of their lives in Israeli dungeons and detention camps would finally see the light of the day. Abu Yasser and his wife, Um Yasser, dismiss Israeli reluctance to free their son and hundreds of other Palestinians imprisoned for their political or military resistance of the Israeli military occupation. “Besides,” she adds, all the laws of God and man allow people languishing under a foreign military occupation to resist their tormentors. Abu Yasser unhesitatingly concurs. However, he argues that the Israelis know deep in their hearts that they are criminals and the Palestinians are victims. These include resistance leaders such as Ibrahim Hamed and Abdullah al Barghouthi and others involved in carrying out retaliatory attacks against Israel during the Aqsa intifada. Then the level of Israeli state terror against Palestinian civilians reached scandalous proportions, forcing Hamas and other Palestinian resistance groups to carry out counter attacks in order to deter Israel from continuing to murder Palestinian civilians, including children and women. The Israeli army and Shin Beth, Israel’s domestic security agency, made strenuous intelligence efforts to locate the whereabouts of the captured soldier, Shalit, in order to carry out a rescue operation that would liberate him from Hamas’s custody. Indeed, the entire Israeli intelligence apparatus in the Gaza Strip, which includes a large number of informers, was mobilized to a maximal level in the hope of obtaining any piece of information that would have led to finding out the place where Shalit is detained. In this context, millions of dollars were offered as bounty to anyone providing information that would lead to Shalit’s liberation. But all these feats proved futile and unsuccessful. Eventually, the Israeli government of Ehud Olmert reached the conclusion that even if Shalit’s whereabouts were discovered, there was a 99%-probability that any rescue operation would end up having Shalit killed. The failure to locate the whereabouts of Shalit, let alone rescue him, did make the Israeli bargaining position difficult, especially in the face of mounting pressure from his family to get him back home at any price. Israel had and still has a standing policy of retrieving soldiers who are captured by the enemy. However, the protracted imprisonment of Shalit, coupled with Hamas’s stubborn refusal to concede on this issue despite the unprecedented ferocity and criminality of Israel’s onslaught against Gaza last year seems to have convinced much of the Israeli public, as well as the military establishment, that a deal with Hamas, however bitter and uncomfortable to the Israelis, would be inevitable. More to the point, Hamas’s management of the Shalit issue proved highly successful. Hamas refused from the very inception to act under pressure and paid little attention to the psychological campaign waged by the Israeli media, and also by the Ramallah leadership. Quite the contrary, Hamas played the psychological pressure card effectively when it released a short video clip showing Shalit in good health. However, the movement utterly refused to allow International Red Cross delegates to visit Shalit, fearing that Israel might take advantage of such a visit in order to implant certain electronic gadgets that would enable the Israeli intelligence to locate Shalit’s whereabouts. There is no doubt that the Islamic liberation group, Hamas, would be the main winner in any prospective prisoner-swap accord with Israel. There are as many as 10,000 Palestinian political and resistance activists languishing in Israeli detention camps. Moreover, efforts to get Israel to release them have been largely unsuccessful, mainly because Israel wants to use these prisoners as a bargaining chip in order to extricate political concessions from the Palestinian Authority. Israel and Fatah would be the losers. Israel would lose some of its power of deterrence vis-à-vis the Palestinians. Indeed, the release of hundreds of Palestinian prisoners from Israeli custody would encourage Palestinians to take Israeli prisoners and use them as bargaining chips to force Israel to release more Palestinian detainees. Moreover, a successful swap-deal from the Palestinian view point would assure the Palestinian public opinion that the fate of thousands of Palestinians in Israeli prisons doesn’t have to depend on Israeli magnanimity. As to Fatah, the group is worried that the release of that many Palestinian prisoners from Israeli prisons will significantly boost Hamas’s public standing. This explains the venomous propaganda war Fatah has been waging on Hamas in recent days, such as repeating the manifestly false claim that Hamas has been conducting secret talks with Israel in Geneva. Indeed, one of the main reasons the former Olmert government refused to reach an accord with Hamas on the Shalit affair stemmed from concerns that the release of hundreds of Palestinian prisoners from Zionist custody would weaken the western-backed PA leader Mahmoud Abbas. According to some news reports from Washington, the Obama administration has already asked Israel to release a thousand Fatah prisoners in order to neutralize any prospective popularity gains by Hamas as a result of a possible prisoner exchange deal with Israel. The Obama administration is trying to woo Abbas to resume the stalled talks with Israel despite the latter’s refusal to freeze Jewish settlement expansion especially in East Jerusalem. Hence, the American gambit should be viewed, at least in part, as a sort of gimmick or even a bribe to encourage Abbas to return to the failed peace process. As the ‘Shalit Deal’ comes closer to reality, so do the fears expressed by many Israelis. What happens if scores of Palestinian prisoners are freed? It happened before, will it happen again?? 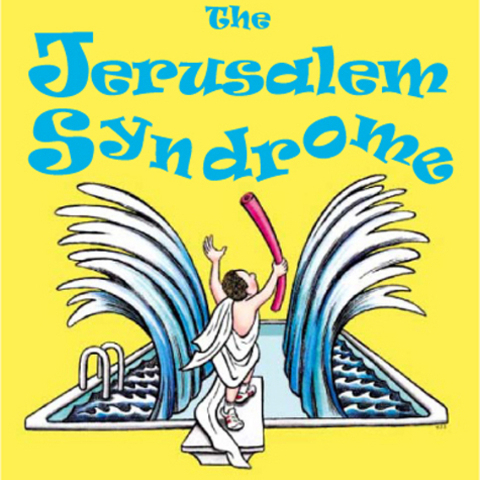 Israelis are asking one basic question…. Is the Shalit deal worth the price? Israel’s refusal to negotiate the deal earlier has generated these fears. 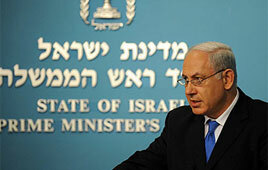 Israel’s actions in Gaza over the past year has created a hatred and distrust towards the Israelis. Distrust and hatred on both sides complicate the situation. Can these fears and feelings be overcome and can the deal actually go through? HaAretz attempts to discuss the situation…. but the answers remain a mystery. 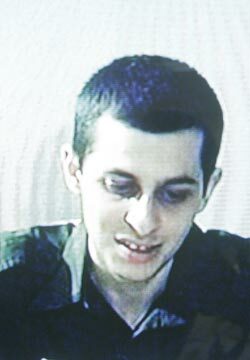 Bringing Gilad Shalit home is going to cost human lives. We do not know how many, we do not know their faces, we do not recognize their names. But we can assume that they walk among us. As a direct result of a Shalit deal they could lose their lives. When the Israeli government approves a deal at any price, this could be the price: dozens or perhaps hundreds of Israelis killed. Just as in war, a Shalit deal could cost lives. Opinion polls and momentary popularity do not justify such a price. Even the emotional picture of Shalit in the arms of his mother does not justify the price. The only justification will be in knowing that this is it, it’s over – no more. Netanyahu will prove he is a worthy leader only if he promises that immediately after Gilad’s return, Israel will return to its strength and determination, to the spirit before Entebbe. BEST HOLIDAY PRESENT ~~ LATE FOR THE EID OR EARLY FOR CHRISTMAS? As of Wednesday, 25 November, German and Egyptian mediators were trying hectically to finalise a prisoner swap deal between Israel and the Palestinian Islamic resistance movement, Hamas. The deal would see the release of Gilad Shalit, an Israeli soldier captured by Palestinian fighters in the Gaza Strip more than three years ago, in exchange for the release from Israeli detention camps of hundreds of Palestinian political prisoners. Indirect negotiations aimed at reaching an accord that failed repeatedly due to Israeli intransigence and Hamas’s insistence that Israel free all prisoners included in the original list Hamas presented to Israel more than two years ago. Israel has been worried that the release of a large number of Palestinian prisoners would significantly enhance Hamas’s public standing at the expense of Western-backed Palestinian Authority (PA) President Mahmoud Abbas, and also erode Israel’s power of deterrence. Israel and Hamas, as well as German and Egyptian mediators, have been tight-lipped as to whether a deal is imminent. Some Islamist leaders in the Gaza Strip spoke of “a great Eid Al-Adha present” (referring to the Muslim holiday and feast that comes this weekend) for the Palestinian people and especially for the families of prisoners to be released. In Gaza, Ismail Haniyeh, prime minister of the Hamas-run government, has reportedly cancelled a trip to Mecca to perform the hajj pilgrimage, apparently in order to receive prisoners to be released. Sources in Gaza said Haniyeh wouldn’t have cancelled his plans unless he had been notified of an imminent breakthrough in ongoing negotiations. Earlier, a delegation of Hamas’s leaders arrived in the Syrian capital, Damascus, to meet with Khaled Meshaal, head of the group’s politburo. The delegates, including top Hamas leader Mahmoud Al-Zahhar, are expected to return to Cairo before Friday. Israeli sources said a breakthrough was dependent on whether the Gaza delegates would return to Cairo with a positive message from Meshaal. Some Israeli officials, too, have indicated that a prisoner deal with Hamas is within reach in the coming few days. Hamas, too, has accused Israel of disseminating “false information” about an imminent deal for the purpose of raising unrealistic hopes among the families of Palestinian political prisoners detained in Israel. In the West Bank, PA Prime Minister Salam Fayyad told an international conference on Palestinian prisoners languishing in Israeli jails: “To our heroic prisoners I say, the day of freedom is near. Your freedom is part of the freedom of the homeland and people.” Fayyad had earlier met with German Foreign Minister Guldo Westerwelle who, according to Palestinian sources, informed him that a prisoner exchange deal was in the offing. In addition, Israel reportedly was insisting that a number of “high-profile” prisoners from the West Bank be deported outside occupied Palestine, ostensibly in order to limit the victory their release would constitute for Palestinians. Hamas is refusing the demand, arguing that any such arrangement must be discussed with the prisoners themselves and is illegitimate and likely illegal anyway. Hamas feels it has to deal with this matter with utmost caution since any “blunder” on Hamas’s part would be taken advantage of by Fatah for propaganda purposes. Indeed, Fatah is already re-launching its propaganda war on Hamas, accusing the Islamic movement of agreeing to Israeli demands that some of prisoners be deported. Fatah is worried that a successful prisoner swap accord between Hamas and Israel would significantly bolster Hamas’s popularity at Fatah’s expense, and may even favour Hamas detainees over Fatah ones. In addition, over the past few days, Fatah and other Palestine Liberation Organisation officials have been castigating Hamas for trying to get Palestinian resistance groups in Gaza to stop firing homemade projectiles on Jewish settlements adjacent to the Strip. Earlier the same officials, including President Abbas, had criticised Hamas for firing Qassam rockets onto Israeli targets. Comments Off on BEST HOLIDAY PRESENT ~~ LATE FOR THE EID OR EARLY FOR CHRISTMAS? The UN General assembly voted 29 November 1947 to recommend partition of Palestine to give the Zionist movement control over 55% of Palestine and leave the Palestinians with 45% of Palestine. The Palestinian natives were then more than 2/3rd of the population and owned 93% of the land. Jews constituted a third of the population (most of them illegal new immigrants) who had land ownership of less than 7%. In the planned “Jewish state”, there would be almost an equal number of Christian and Muslim Palestinians as Jews. The Zionist movement accepted the idea of a Jewish state but rejected the other parts of the proposal: borders designated, Internationalization of Jerusalem, economic union, and no ethnic cleansing. There were no viable local leaders of Palestinians (decimated by the British between 1936-1939 and sold-out by dictatorial Arab regimes). The people (and here we are talking about Christians, Muslim, and Jewish native Palestinians) were however largely against partition of their country. The illegal “vote” at the UN (illegal because it violated the UN charter) succeeded because of significant pressure from the US government. President Truman pushed and pressured governments to adopt it because of his need for Jewish support in elections (see http://www.wrmea.com/backissues/0994/9409074.htm ). Other factors sometimes cited are sympathy for the Zionist movement following the genocides of WWII and perhaps a way of getting rid of the “Jewish problem” in the West by dumping it on Palestine. There was however strong collaboration by the Zionist movement with both the Nazis themselves and the Nazi goals (see Lenni Brenner “51 Documents: history of the Nazi-Zionist collaboration and look at books and articles written about the successful efforts of the Zionist movement to prevent opening migration doors in Western countries to European Jews). As time showed, catering to Zionist greed for someone else’s land only brought death and destruction and not just on the native Palestinians themselves. Ramifications included many wars (most lately Lebanon, Gaza, Iraq, and Afghanistan) that still try to feed the greed of the created apartheid regime and protect its loot. The UN has tried to make-up for the injustice by humanitarian aid and by designating November 29 as an international day of solidarity with the Palestinians people. For us, solidarity means boycotts, divestments, and sanctions on Israel until it complies with International law and basic human rights (staring with the internationally recognized basic right of Palestinian refugees to return to their homes and lands). EVER WONDER WHY NO ONE LIKES THE JEWS? For a people that cry constantly about their past suffering…. it is shocking to see behaviour such as described below…. Makes one wonder if the rest of the world will ever accept them as equals….. Conspicuous targets. “Every Christian cleric who’s been here for a while, and who dresses in robes in public, has a story to tell about being spat at,” says Father Athanasius, a Franciscan monk. Since then, the nun, who didn’t want to be identified, recalls being spat at three different times by young national Orthodox Jews on Jaffa Road, three different times by haredi youth near Mea She’arim and once by a young Jewish woman from her second-story window in the Old City’s Jewish Quarter. But the spitting incidents weren’t the worst, she said – the worst was the time she was walking down Jaffa Road and a group of middle-aged haredi men coming her way pointed wordlessly to the curb, motioning her to move off the sidewalk to let them pass, which she did. News stories about young Jewish bigots in the Old City spitting on Christian clergy – who make conspicuous targets in their long dark robes and crucifix symbols around their necks – surface in the media every few years or so. It’s natural, then, to conclude that such incidents are rare, but in fact they are habitual. Anti-Christian Orthodox Jews, overwhelmingly boys and young men, have been spitting with regularity on priests and nuns in the Old City for about 20 years, and the problem is only getting worse. “My impression is that Christian clergymen are being spat at in the Old City virtually every day. This has been constantly increasing over the last decade,” said Daniel Rossing. An observant, kippa-wearing Jew, Rossing heads the Jerusalem Center for Jewish-Christian Relations and was liaison to Israel’s Christian communities for the Ministry of Religious Affairs in the ’70s and ’80s. For Christian clergy in the Old City, being spat at by Jewish fanatics “is a part of life,” said the American Jewish Committee’s Rabbi David Rosen, Israel’s most prominent Jewish interfaith activist. “I hate to say it, but we’ve grown accustomed to this. Jewish religious fanatics spitting at Christian priests and nuns has become a tradition,” said Roman Catholic Father Massimo Pazzini, sitting inside the Church of the Flagellation on the Via Dolorosa. Christians in Israel are a small, weak community known for “turning the other cheek,” so these Jewish xenophobes feel free to spit on them; they don’t spit on Muslims in the Old City because they’re afraid to, the clerics noted. THE ONLY Israeli authority who has shown any serious concern over this matter, the one high official whom Christian and Jewish interfaith activists credit for stepping into the fray, is Ashkenazi Chief Rabbi Yona Metzger. On November 11, Metzger addressed a letter to the “rabbis of the Jewish Quarter,” writing that he had “heard a grave rumor about yeshiva students offending heaven…[by] spitting on Christian clergy who walk about the Old City of Jerusalem.” Such attackers, he added, are almost tantamount to rodfim, or persecutors, which is one of the worst class of offenders in Jewish law. They violate the injunction to follow the “pathways of peace,” Metzger wrote, and are liable to provoke anti-Semitism overseas. “I thus issue the fervent call to root out this evil affliction from our midst, and the sooner the better,” wrote the chief rabbi. Metzger published the letter in response to an appeal from Armenian Archbishop Nourhan Manougian, an appeal that came in the wake of a September 5 incident in the Old City in which a haredi man spat on a group of Armenian seminarians who, in turn, beat him up. This is not the first time Metzger has spoken out against the spitting – he did so five years ago after the most infamous incident on record, when Manougian himself was spat on by an Old City yeshiva student during an Armenian Orthodox procession. In response, the archbishop slapped the student’s face, and then the student tore the porcelain ceremonial crucifix off Manougian’s neck and threw it to the ground, breaking it. Then interior minister Avraham Poraz called the assault on the archbishop “repulsive” and called for a police crackdown on anti-Christian attacks in the Old City. Police reportedly punished the student by banning him from the Old City for 75 days. What’s wrong with the following paragraph? “We .. are on the side of the Palestinian people’s memorable struggle … against the genocidal state of Israel that knocks down, kills and aims to terminate the Palestinian people,” Chavez told visiting Palestinian President Mahmoud Abbas. Visiting Palestinian President Mahmoud Abbas??????? Chavez might as well have spoken with Israel’s Prime Minister Netanyahu….. both have been working together to terminate the Palestinian people. 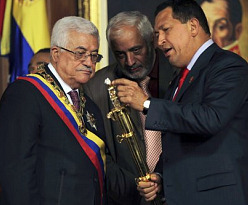 I was shocked to read that Chavez, a man that I admired until this morning, met with Abbas and gave him the welcome befitting a State Leader…. it was a slap on the face of the Palestinian people and another nail in Socialism’s coffin. What he said was fine, but he said it to the wrong man. A full report can be read HERE..
A few weeks ago, Abbas issued a decree calling for “presidential and legislative elections” to be held in the West Bank, East Jerusalem and Gaza Strip on 24 January 2010. However, a standoff in reconciliation efforts between Fatah and Hamas, and especially a seemingly hopeless peace process with Israel, eventually prompted the PA leader to announce that he wouldn’t take part in the upcoming elections. In a series of recent interviews with Arab and foreign media, Abbas emphasised that his decision was no bluff and that he was likely to end his political career. “Perhaps they [the elections] will be delayed by a year, or less, I don’t know. What I am saying now is that I will not be a candidate,” the PA leader said during an interview with the BBC Arabic Service. Abbas said the Palestine Liberation Organisation (PLO) leadership would take unspecified “measures” to avoid a constitutional vacuum when his term of office expires on 25 January 2010. The PLO leadership, including Fatah, has been trying in vain to convince Abbas to reconsider his decision. Fatah leaders said they wouldn’t choose a successor to Abbas, which would further exacerbate a political and constitutional crisis facing both the PA and the PLO, endangering the continued survival of the former. Attempting to deal with the mounting crisis, the PLO Central Committee is expected to hold an important meeting in the middle of December. According to Fatah officials, the committee, which occupies an intermediate status between the Palestinian National Council (PNC) and the PLO Executive Committee, will try hard to change Abbas’s mind vis-à-vis his intention to resign. However, in case Abbas insisted on leaving, which is widely expected, the Central Committee would take “far-reaching decisions” including dissolving the Hamas-controlled — but effectively paralysed — Palestinian Legislative Council (PLC) as well as empowering the PLO to assume many of the key functions and powers of the PA — the Western-backed government of Salam Fayyad. The dissolution of the PLC, which is a de facto Palestinian parliament, could be fraught with complications. The council, an elected body, is an integral part of the self rule authority, and dissolving it without dissolving the entire PA structure would be interpreted by Hamas as a hostile act by Fatah aimed first and foremost at the Islamic group. “An unelected body can’t dissolve an elected body,” Ahmed Bahr, deputy speaker of the PLC said. The same remark has been made repeatedly by Aziz Duweik, PLC speaker. It is not clear as yet what retaliatory measures Hamas would take against Fatah and the PLO in case the Central Committee decided to dissolve the PLC. What is clear is that the ensuing crisis, if such a decision was made, would seriously worsen the existing crisis. Azzam Al-Ahmed, a senior Fatah leader, expressed the fear that Abbas’s departure from public life would “plunge the Palestinian leadership and people into a real crisis”. “If the president doesn’t backtrack [on his decision not to run in the next elections], this would lead to the total collapse of the Palestinian Authority and not only its dismantlement,” Ahmed told the Jerusalem-based Arabic newspaper, Al-Quds. In recent weeks, conflicting indications have come from Hamas as to the future of the Egyptian-mediated national reconciliation efforts. The Gaza-based leaders of the Islamic movement have been affirming Hamas’s desire to reach an agreement with Fatah as soon as possible. Some spokespersons even predicted that Hamas would sign the Egyptian- formulated document after the Eid Al-Adha holiday. However, some of Hamas’s leaders based outside occupied Palestine have indicated that reconciliation with Fatah is still a long way off. They argued that the current atmosphere in the occupied Palestinian territories, especially in the West Bank, was by no means conducive to holding elections. In a related development, the Egyptian government has invited “the National Reconciliation Committee”, which is made up of non-partisan Palestinian intellectuals and community leaders, to Cairo to discuss Hamas’s reservations and observations about the draft reconciliation document. A committee member, Iyad Al-Sarraj, a neuro-psychiatrist from Gaza, spoke optimistically about the prospects of Hamas signing the document in the near future. The head of the committee, Yasser Wadiya, pointed out that reconciliation efforts would be resumed after Eid Al-Adha. He was quoted by Maan News Agency as saying that delegates, in coordination with Egypt, would provide guarantees and adopt confidence-building assurances to reach a final agreement. Meanwhile, the propaganda war between the two sides continues unabated. Abbas, for his part, has been reiterating accusations that Hamas has been holding “secret talks” with Israel in Geneva, saying the movement was in no position to claim “a moral high ground”. The accusations, vehemently denied by Hamas, seem to lack credibility unless Abbas and his aides were referring to German-mediated indirect talks about a possible prisoner swap deal between Israel and Hamas. Fatah is particularly worried that the release by Israel of hundreds of Palestinian leaders from Israeli prisons in exchange for the release by Hamas of captured Israeli soldier Gilad Shalit would be a huge popularity booster for Hamas. This explains the fact that PA officials have been trying to belittle as much as possible the significance of the prospective deal lest it strengthen Hamas and weaken Fatah. Fatah spokespersons have been attacking Hamas for allegedly agreeing to Israeli demands that an undisclosed number of would-be released Palestinian prisoners would be sent abroad for a number of years. Hamas has not confirmed reports in this regard. Fatah is also worried that the release by Israel of PLO leaders such as Marwan Al-Barghouti, a potential successor to Abbas, and Ahmed Saadat, head of the Popular Front for the Liberation of Palestine (PFLP), would leave Fatah indebted to Hamas and could block Abbas were he to renege on his threat to quit politics. My usual Friday morning grocery delivery came late this morning….. brought in by a kid named Moshe…. not the usual kid named Ahmed. I was served at the local coffee shop by Itzik, not my usual waiter Mohammed…. 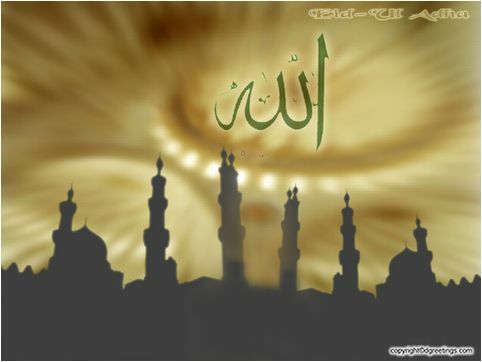 It is Eid Al Adha… a major Muslim Feast Day. The Palestinian community in Israel was home (if they still have one) celebrating with their loved ones. But, this all brought to mind the evil concept of the ‘Shabbos Goy’, a well known exploitation of the non Jew that does things the Jew is forbidden to do on the Sabbath. It was a complete reversal…. the Jew had become the Shabbos Goy for the Muslims. If we only were more tolerant of each other…. if we only knew about each other’s culture and religion…. life could be so beautiful…. there would be trust, there would be love…. there would be PEACE! Despite it all…. ISRAEL LIED AGAIN! Not that we expected anything different, but one would think they would wait a day or two before they showed the world how dishonest they are. Defense Minister Ehud Barak on Thursday ordered the IDF to issue a temporary freeze order, but at the same time allowed the construction of 28 new public buildings in settlements. Meanwhile, Haaretz has learned that the state is expected to ask the Supreme Court for more time to evacuate illegal outposts. The State Attorney’s Office is expected to update the Supreme Court by next week on three court rulings that have not been carried out, for the evacuation of outposts at Eli, Horsha, and Netiv Ha’avot, as well as six other locations in the West Bank. 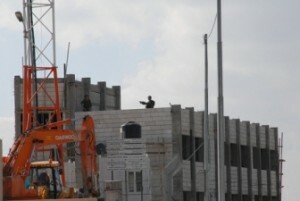 Haaretz also learned that in discussions on the matter between security and law officials, the state intends to ask the court for more time in order to prepare a suitable policy for razing the illegal outposts, in view of the developments related to the freeze in settlement construction. Similar statements were issued by the German government, while the government of Britain emphasized in its statement that it was displeased by the fact that the freeze was not absolute – in other words does not include East Jerusalem. The Russian Foreign Ministry also issued a statement calling on Israel to freeze settlement construction completely. On Thursday, Israel relayed messages to members of the European Union and other western countries, calling on them to pressure the Palestinian Authority and the Arab states to resume negotiations with Israel. In its message, Israel also called on friendly countries to help convince the Arab world to avoid unilateral steps in light of the government decision to freeze settlement construction for 10 months. The only things that are frozen in Israel today are the scores of Palestinians that were rendered homeless by the expansionist policies of the zionist state. Families that for decades lived in homes belonging to them and their families before them are now living on the streets…. , evicted to make way for illegal Jewish settlers , part of a ‘master plan’ to rid Jerusalem of all its non Jewish inhabitants. The news today features glowing reports of Netanyahu’s ‘settlement freeze’, just days after it was announced that illegal settlements in Jerusalem will be expanding shortly…. In reality, it is the Roadmap’ that is frozen…hopefully a ‘meltdown’ will take place before the summer sets in. International Solidarity….. are not just words but ACTION. One cannot expect every justice minded person to put their lives on hold (and risk) and board the next mercy ship to Gaza. To even expect this of people is totally unrealistic. There are family commitments, work or school responsibilities, umpteen situations…. BUT…. that does not mean you cannot help. Back in the 60s, people were faced with similar situations…. how to help the beleaguered victims of US aggression in Vietnam. Not everyone was in the same position as a Jane Fonda, who was able to physically go there to offer her support and solidarity. BUT…. there were thousands of others who involved themselves in knitting projects…. ‘Blankets for Vietnam’…. These blankets not only warmed the cold children of the nation, but warmed their spirits as well. The feeling that somebody out there cares gave them the inspiration to fight on to their final victory. A similar movement is under way to help the children of Gaza. Read the following to see how you can get involved…. Be a part of the victory! Read and support the efforts of THESE wonderful people…..
We are a group of caring knitters and crocheters all over the globe who want nothing more than to help these underprivileged children. Everyone deserves to be warm! Happy Eid AlAdha to all Muslim friends and Colleagues. May this holiday return to us with advance in justice and freedom and a retreat in the forces of darkness, hate, and violence in this world. A trip to Jenin Monday turned into another detour on the way back. The trip already takes 2.5 hours and this is when the roads are open. Soon major sections will be closed to us as Israel closes off other roads and make them available only to settlers. But on the way back, military contingent closed the road (simple spite as there was clearly nothing to justify it), they simply asked us to turn around. Since it was the only way I knew back to Bethlehem, for a while I did not know what to do. We tried to ask locals but the ones we asked did not know or speculated on alternative routes. Finally we found someone in a car who was also turned back and we followed him to go in a round-about-way to connect to eth road on the other side. Wasting much time (and obviously indicating since it was doable that this had nothing to do with security but with making life as hard as possible). But we will persist despite everything. In bad news: we heard that the US decided not to sign the Land Mine Treaty signed by over 150 countries (Israel and the US want to continue to allow the killing of Children). And local authorities and human rights groups warned that Gaza is on the brink of humanitarian catastrophe (http://www.alarabiya.net/save_print.php?print=1&cont_id=92014&lang=en). Most of its water is unfit for human consumption (and also below needed quantities). Israel refuses to deal with this man-made catastrophe. Ethnically cleansing the Palestinians and concentrating them in Gaza (70% refugees on a tiny desert strip) and now denying them even import of pipes and equipment to deliver water, to filter water, or to treat sewage is simply a crime against humanity. The ODSG, One Democratic State Group, is a Palestinian non-violent popular resistance group based in Gaza. We are Palestinian activists, from various backgrounds, who have come together to further peace with justice in the Middle East. We believe that the One State Solution is the only viable option that guarantees comprehensive peace in the Middle East. We believe that justice and peace can be achieved in the context of a single Democratic State that would include and benefit equally all current residents of historic Palestine–after the return of Palestinian refugees–irrespective of race, ethnicity or religion. We pledge to work actively towards this end. We are also active in the Palestine-initiated campaign of Boycott, Divestment and Sanctions (BDS) against Israel. These measures, similar to those applied to South Africa during the apartheid era, are necessary to bring an end to Israel’s genocidal policies towards Palestinians both within Israel and throughout the Occupied Territories. We believe that these non-violent measures should be maintained until Apartheid Israel recognizes the Palestinian people’s inalienable right to self-determination and the establishment of a democratic state on Mandatory Palestine; a state for all of its citizens. As we are not an NGO, all our funding comes from our own pockets. As our movement is now rapidly growing it is becoming more difficult to financially sustain our projects and hire greatly needed staff. Due to lack of funds we have been forced to freeze some of our projects. 1. Organizing for the Gaza Freedom March (31 December 2009). 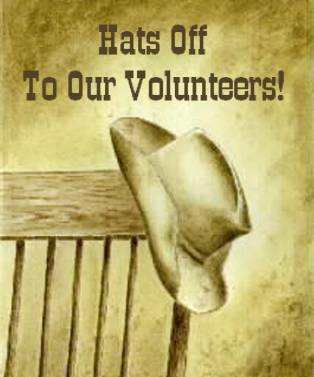 We are represented on the March Steering Committee. 2. Collecting video testimonies of refugees who survived the 1948 Nakba for an oral history project that will be posted at Palestine Remembered. 3. Working on the “Right to Read” Campaign in partnership with solidarity groups. Challenging the siege by getting books for Gaza university students. 4. Producing a documentary, Forbidden Dreams, and copying thousands of a Palestinian-South African CD, Amandla Intifada. 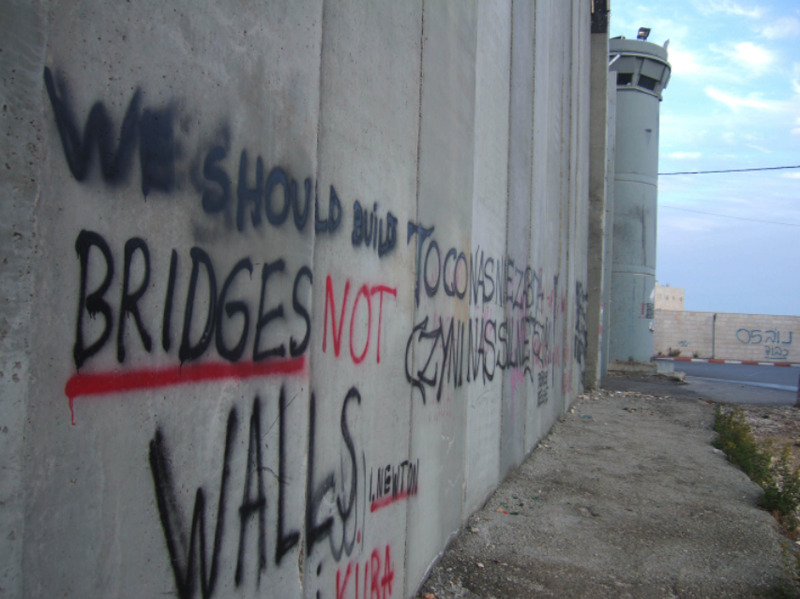 – Networking to strengthen connections among people and groups in Gaza and with solidarity activists around the world. – Organizing video conferences with activists, intellectuals and students based in the Arab World, Canada, Europe, South Africa, and the US. – Conducting media advocacy and writing articles in Arabic and English. In order to keep ODSG productively running, we are in need of your generous support and donations. We invite you to visit our website, http://www.odsg.org/co/ and join us in our work to in an act of people to people solidarity, and anti-apartheid activism for peace with justice. Through your help we will be able to make our vision a reality and thereby ensure that our children and grandchildren may live together in more just and equal world. Eitam’s soldiers testified he had ordered and participated in the Givati beatings. He admitted driving around Gaza with four batons in his jeep, including a shatter-proof, non-regulation knout made of thick rope. The army judges found that Eitam’s “violent behavior became the norm, and was taken as an example by those under his command” (“Soldier Sentenced for Palestinian Beatings,” Associated Press, 31 October 1990; “Givati Commander Denies Telling Men to ‘Break Bones'”, The Jerusalem Post, 23 February 1990; “Givati 4 Are Convicted”, The Jerusalem Post, 2 October 1990). Still, he received no judgment for almost two years. Then, on 13 July 1992, Rabin became prime minister, and three days later, Eitam got off with a reprimand and a recommendation against promotion. The Jerusalem Post quotes sources suggesting that his likely appeal to Israel’s high court of any conviction might have implicated his higher-ups, including Rabin, in the beatings and murders (“Effi Fein Reprimanded to Prevent Him Appealing to Supreme Court”, 19 July 1992). But this modest Messiah isn’t afraid to get his hands dirty. Unchastened by the killing of Aqel, Eitam has continued his racist and violent incitement. At a 2002 address in a Tel Aviv synagogue, Eitam called for the murder of then Palestinian Authority leader Yasser Arafat, along with the rest of his colleagues: “If I [could] give the order now, he would be dead in 15 minutes, together with his whole gang.” Of former Al-Aqsa Martyrs Brigade leader Marwan Barghouti, then being investigated by Israel in preparation for trial, Eitam suggested Israel should just “Take him out to an orchard and shoot him in the head” (“NRP leader Eitam: Arafat, Barghouti should be killed”, The Jerusalem Post, 5 July 2002). Eitam also spoke at a packed evening lecture. Hillel President Dan Lenard began by denouncing the “fascists” who had presented critical information about Eitam. Consistent with his earlier performance, Eitam’s speech was a mish-mash of Arab-hating, Israel-boosting, and bare-faced lies. He insisted that Iran constitutes an unprecedented existential threat, and indeed, he has been calling for an attack on Iran since at least 2006 (“MK Eitam: Strike Iran now”, Ynet, 18 May 2006). Astonishingly, he said Iran sponsored al-Qaeda’s attacks. And again he compared the course taken by the US with Hiroshima and Nagasaki to the course the US and Israel should take with Iran. Can you just picture Foxman himself going on national TV to speak about this. BUT….. it’s happening in Israel of all places so there will be silence ….. or he would be accused of being an anti-Semite for speaking out against the zionist state. Strange that Israel is suddenly concerned with animal rights, when human rights means absolutely nothing to them. If only the homeless Palestinians in occupied Eastern Jerusalem had the same problems…. 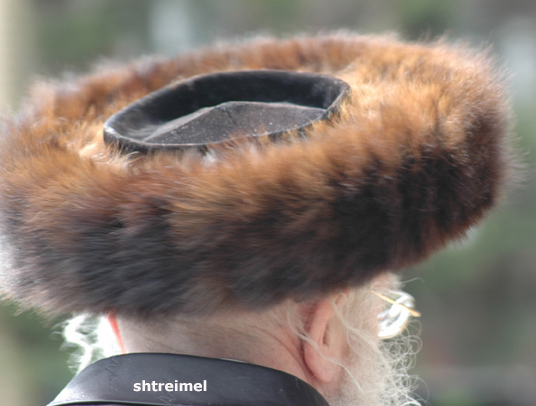 The shtreimel, or traditional fur hat, preferred by hassidic movements originating in Galicia, Hungary and Romania, might become a difficult item to obtain if animal rights activists have their way. MK Menahem Eliezer Moses of United Torah Judaism. Haredi legislators aggressively attacked a bill proposed by MK Ronit Tirosh (Kadima) and backed by animal rights groups that would prohibit the import of animal furs from the Far East, including China. The animal rights activists are concerned that countries in the Far East are unnecessarily cruel to the animals. However, United Torah Judaism MK Menahem Eliezer Moses opposed the bill, which came up for discussion in the Knesset Education Committee. Moses argued that the proposed legislation would hurt haredim who had a custom of wearing the fur hats on Shabbat and holidays. “We will never change our traditional dress as a result of this law,” said Moses in a press release. 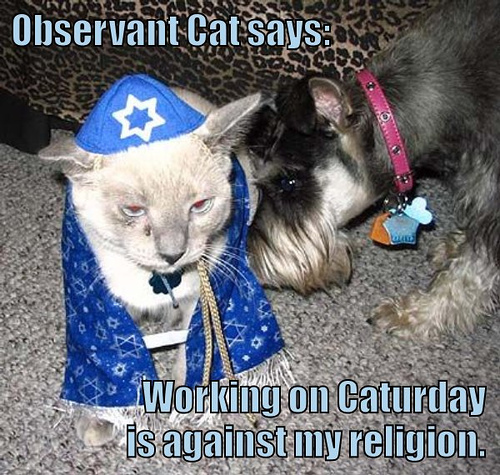 “There is no doubt that cruelty to animals is prohibited by the Torah. But throughout the generations Jews wore shtreimels,” Moses said. Shas MK Haim Amsalem said Jewish law permitted causing pain to animals if there were a human need, as long as unnecessary pain was avoided. Due to Moses’s and Amsalem’s opposition, as well the opposition of the Agriculture Ministry for economic reasons, the vote on the bill was postponed. AL-TUWANI, occupied West Bank (IPS) – Being able to travel to school in relative safety is something children all over the world take for granted. But, for Palestinian children living in the shadow of the ubiquitous and illegal Israeli settlements dotting the occupied West Bank, simply walking to school can be a terrifying experience. “It is really scary walking to school. We never know when the settlers will attack us and beat us,” said Rima Ali, 10, from the village of Tuba in the southern West Bank, about two hours drive south of Jerusalem. “Every day we have to watch out that the settlers are not in the valley ahead of us and if we see them we run away,” Ali told IPS. Ali still bears the scar from when a settler pushed her causing her to fall to the ground and cut herself below the eye. Hundreds of Palestinian children in Tuba and the surrounding Palestinian villages face the same daily predicament as they try to reach school in the Bedouin village of al-Tuwani. Situated on a hilltop overlooking al-Tuwani are the Israeli settlement of Maon and the extended settlement outpost of Havot Maon. The only road which previously connected Palestinians to neighboring villages and to the nearby Palestinian town of Yatta — a 10-minute drive away — has been appropriated for the exclusive use of settlers. Palestinians are banned from driving on it. 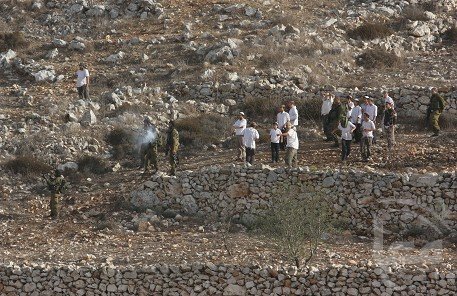 The villagers are now forced to take off-road dirt tracks, which circumvent the settlers-only bypass road and the settlements. If they walk the route it takes approximately an hour on foot — assuming they don’t have small children with them. Settler attacks — including arson attacks on agricultural fields, chopping down olive trees, poisoning water wells, killing livestock and assaulting Palestinian villagers living near settlements — have become a way of life for Palestinians all over the West Bank as the Israeli authorities continue to turn a blind eye. But the repeated attacks on schoolchildren forced a group of international Christian peace activists from Christian Peacemaker Teams (CPT) to establish school escorts for the children in a bid to try and protect them. Furthermore, the Israeli Knesset, or parliament, was forced to intervene several years ago after several foreign citizens escorting children were attacked by chain and baseball-wielding settlers. Two CPT members were hospitalized after they suffered injuries including a punctured lung, a broken arm and a fractured skull. The Israeli military was ordered to provide daily military escorts for children from various towns and villages in the southern West Bank. However, the children and the peace activists have complained that the military escorts are often unreliable and sometimes a source of hostility toward the children themselves, as many of the soldiers are sympathetic to the settlers. And while the number and severity of attacks have dropped they have not stopped. Last week a young Palestinian couple, with three children under the age of three, was trying to make its way home to Tuba after visiting Yatta. They family was warned by two members of the CPT that a group of settlers had been spotted on the ridge above earlier in the day and that it would be safer for them to take the longest route home to avoid a confrontation. “We decided to accompany the family in case there was any trouble. Despite taking the longer route a group of five settler men rushed towards us from the valley above and attacked the father who had a toddler in his arms,” American CPT member Sarah MacDonald told IPS. MacDonald and another CPT member, Laura Ciaghi from Italy, were videotaping events in case they needed to go to the police. “I decided to try and engage the settlers to try and protect the family,” Ciaghi told IPS. Ciaghi was thrown to the ground and repeatedly kicked in the ribs and back as the men stole both video cameras from the women. “Because the settlers focused their attention on us the Palestinian family was able to get home safely and so we feel we achieved some kind of victory,” added Ciaghi. Ciaghi was badly bruised, required a stitch to her scalp and had contusions on her head. The Israeli police and army were called to investigate but, with the exception of a couple of individuals, most of them appeared to be disinterested and no thorough investigation was carried out. This does not surprise Israeli human rights organization Yesh Din, which monitors human rights abuses against Palestinians in the West Bank and acts as an intermediary between Palestinian victims and the Israeli security forces. In order to file complaints Palestinians need to go to police stations which are located in the illegal Israeli settlements. 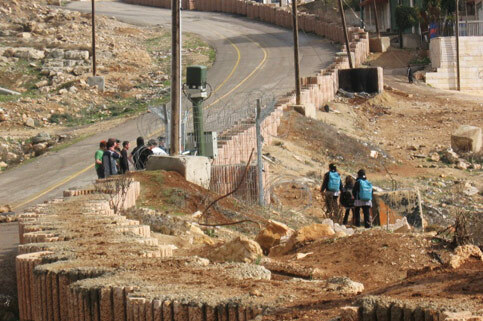 However, the catch-22 is that they are not permitted to enter the settlements and this is where Yesh Din steps in. “The police often ‘lose the paperwork’ or are ‘unable to identify perpetrators’ of attacks against Palestinians,” Yesh Din director Lior Yavne told IPS. Meanwhile, despite the Israeli government calling for the demolition of Havot Maon over two years ago, on the grounds it was built illegally according to Israeli law, the outpost continues to expand and the settlers living there continue to attack Palestinians. In the interim, Israel is carrying out a massive campaign of Palestinian home demolitions as settlements all over the West Bank expand at an unprecedented rate. Which is sicker, the patient or the system? A referential drafting extracted from the Human Rights Covenants and human principles and the laws related to it based on the basis that Palestinian Arabs should have the same human rights as the rest of the peoples of the world. Also included in English are excerpts from relevant Covenants. 1- The Right of Return is the right for individuals and groups to return at any time to their land and homeland and the original and historical place of residence in which they actually used to live at the time the incidents took place which resulted in their leaving it, without considering their absence temporally for work, study and tourism as a diminutive of this residence. 2- The Right of Return is a natural right. Not only that, it is also a right that is human, absolute, unconditional, individual and collective, material and moral, regional and national, inheritable (even for those who were born in the diaspora=Ashatat) to all their children. It is irrevocable and cannot be relinquished nor can anyone be delegated to represent another in relinquishing this right or negotiating it, nor can it be exchanged for compensation. It is indivisible, there shall be no distortion and disguising of it or shall it be limited to particular time or date. It also depends on personal proprietorship that doesn’t terminate by occupation, and should not be subjugated to restrictions that deteriorate or contradict with what is stated in covenants of international human rights and/or human and international laws. It also not cannot be diminished or distorted under the motto of the right of self determination. 3- It is a right for individuals and/or a collective right for those persons or their relatives expelled or dislodged from their places of residence, or who have been displaced or left their land and homes by forceful driving away, or who voluntarily left their homes under threat, or who ran away due to oppression and massacres from their homeland to other places inside it, or who were outside their place of residence at the time of the war that resulted in leaving their land and its occupation and confiscating it by others or delivering it to others occurred. And in the case of repeated dislodging inside their land, the Right of Return means to original place of residence before the first displacement. 4- And in case of appropriating any land from any country with the aim of occupying or confiscating it, this land is considered the property of all the inhabitants of the mother country totally and without appropriating. As it is not permissible to occupy the land of others by force, and it will be the property of all its citizens of the mother country from which this piece of land was appropriated, the right of ownership of the appropriated land and the right to return to it. 5- It is not by any means permissible to exploit the sufferings that the owners of the Right of Return, to obtain the approval of an individual to abandon his Right of Return due to his lack of aptitude, he himself, to deny his children from the right to inherit the land and identity, it is not permissible to condemn them in advance to vagabondage, or to remain without identity or homeland, because the ownership of the land is communal for all its citizens presently and in the future. 6- As per all the above, the Palestinian Authority, neither the Arab summit meetings, nor any international conferences, are fit to represent the owners of the Right of Return in any projects or agreements to abandon their rights. 7- It is also not permissible for any Arab or non-Arab state or any international organization to hold agreements or take decisions, by the force of which to settle any of the owners of the Right of Return on its land or other’s lands or to displace them to distant lands from their original place of residence, to make place for those who settled (colonized) their land and build a state on it. 8- It is not permissible forthe international community to abandon the rights of any human community, or to deal with it or its members using double standards, and to sacrifice its rights to others, whatever the excuses and reasons are, such as practicality, security requirements or the presence of a formidable force on this land, and it is not permissible for him to record a precedence in history allowing for the first time to bestow legality for an aggression by gangs and colonizing groups against weak peoples, and it is not permissible the aggression to become legal natural entity the basis of power instead on the basis of legality and morality. 9- As for the matter of financial compensation that is suggested every now and then, in various international conspiratorial projects suggested a replacement of the Right of Return as a price for settling them away from their original place of residence. These financial compensations can be acceptable under what was stated above, except for the owners of the Right of Return, and all the above mentioned parties in place of years of displacement and suffering, to which they were exposed by the international community by its consent to displace them by establishing an illegal entity on their land, and in place of using their homeland, exploiting it for tens of years by invading colonizing groups that occupied their homeland. It is not for accepting their settlement or for surrendering their Right of Return to their original place of residence, and should be paid to them after their return to their original place of residence to help them to return to their natural lives. 10- There is nothing in this document, and it should not be understood from anything in it, that it permits any state, organization, body or person to participate in any activity that shall result in depriving the owners of the Right of Return from enjoying it fully and fully obtaining their entitlements as per the laws, covenants and the principles of human rights followed at the time and before writing this covenant. The natural and human right is the right of man and natural groups and it grew and developed its society in a certain region during the development of the natural history, which is a right that man gains because he is a human, as he is naturally social and his sociability is tied with the place assemblage, allowing him to leave and return to his family and community without restrictions. The absolute and unstipulated right, is a right without stipulations, inherited and not granted, without deficit and not regulated by laws. Communal right is a right for the community as it is an individual right, which is due to man being social by nature. Material and moral right is the right of land, home and homeland ownership, as it is the right of the ownership of the moral identity connected to with the belonging to the homeland and the community, and the ownership of the homeland does not require the availability of documents and deeds to prove it. This right is extended to the right of residence around holy places, visiting them and holding complete, unlimited rituals with full freedom. In Islam, in particular there are clear texts that give special importance to the homeland and religion, as it is considered to fight man in his religion and expel him from his homeland the peak of oppression that couldn’t be accepted or which we cannot be silent about. The regional and national right is a result of that the victorious international community in the First World War and the Western force of invasion to the Arab region (called colonialism). It appropriated Palestine from greater Syria and the whole Arab homeland in preparation to hand it over to the Zionist invaders, in the San Remo conference, which is the conference that decided on executing the Sykes Picot Agreement between France and the United Kingdom, when Palestine was taken from the Arab homeland and given to gangs and groups that came from all over the world, to establish in it through invasion, colonialism, displacement and replacement – illegal and immoral colonization, and to produce a permanent danger against regional and national security in the Arab region. This is a breach to all legal conventions that enforces on colonialists to return the land to its owners completely and without deduction. All of this means that the owners of Palestine are not simply its direct inhabitants, but they are the inhabitants the Arab homeland from which Palestine was appropriated, they have in it all the rights of any French citizens from northern France in the lands of southern France, which is his homeland, and he has the right to claim it if it was exposed to occupation. This is only an example and not in general. This the national right that is added to the regional right. Everybody should be reminded of the massacres and oppression that Zionist gangs had committed in the land that came to be called the state of “Israel”, in violation of United Nations laws and any other moral legitimacy. In order to expel the Arab people from Palestine, (for Example the Deir Yassin massacre). The international legitimacy covenants imposed by the victors in the Second World War, such as the Declaration of Human Rights, and the 4th Vienna agreements 1949 and the international laws related to the cause, and the clear and direct texts that endorse this right of all the above mentioned owners of the Right of Return to their original place of residence or that which was a part of their regional or national homeland, and it is not permissible to exempt any human being from this right whatever the are the excuses such as the presence of a formidable force on this land, and reaching a state of stability in the diaspora (Al-Shatat) and other excuses. 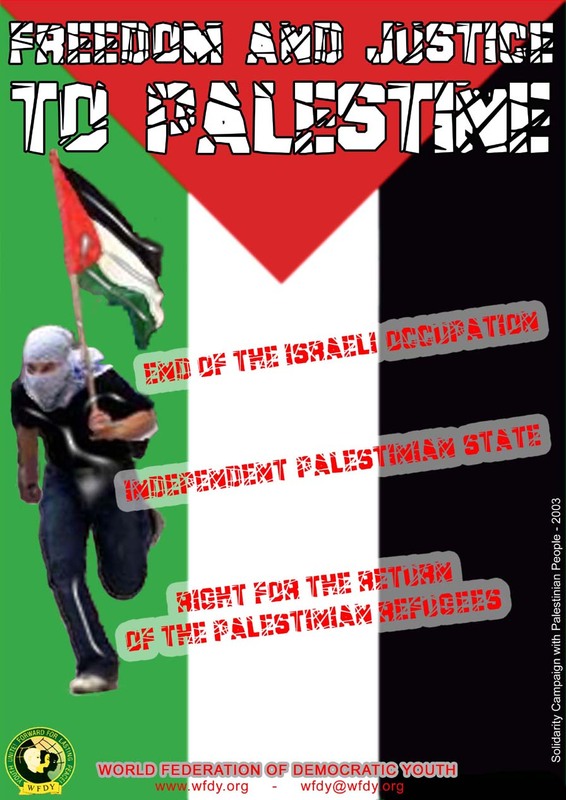 To return the Right of Return to some of its owners while settling others in any place in the Arab homeland or outside it, in addition to being an actual infringement of their human rights among which is the Right of Return, this shall expose them under threat of sedition and the danger of fighting each other and individual and collective killing that would deprive them of security. That is one of the important axis in the international charter of human rights. The massacres of Sabra and Shatilla as well as the Black September incidents, and what Arab Iraqi groups under occupation were exposed to; the Sudan incidents of Sudan and Kosovo as well as in many African states all form striking proof on this. And it is not the right of anybody to expose human groups to these dangers; so it is not possible to accept any guarantees to provide protection to any group, because security should be natural and impulsive and not under any artificial protection, which could be wiped out by a political decision at any time. All the human race should recognize that it cannot enjoy stability and security now and in the future, just while abandoning the rights of some of its members whether individuals or groups, and sacrificing them to others, dealing with them with double standards under any excuses or reasons, which applies to dropping the Right of Return, which creates a precedent in human history, by which it shall bestow legitimacy for the first time to aggression committed by colonizing gangs and groups against the weaker peoples and give it the right to change after the aggression into a legal entity, relying on the power of the force of arms and terror instead of legality and morality. The same resolution also resolves: “of those choosing not to return and for loss of or damage to property which, under principles of international law or in equity, should be made good by the Governments or authorities responsible; (The resolution doesn’t specify who these neighbors are!!!) It is clear that this part of the resolution contradicts with human rights upon which the above-mentioned covenant states, which results in settling groups outside their homeland: thus their offspring shall not be able to inherit it, and separates them from their communities, as well as exploits their sufferings to impose on them to accept compensation, it also imposes other Arabs the right of proprietorship of what was occupied and separated from their homelands by force and conspiracy, and permanently threatening their security.